A rare sight — a woman physicist at the NASA Lewis Research Center. 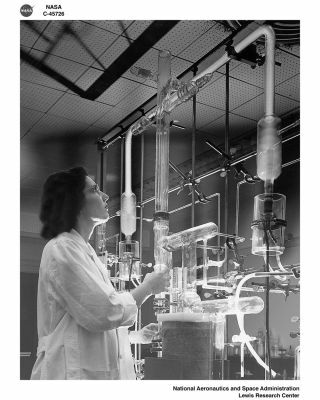 In this historical photo from the U.S. space agency, one of the rare women physicists at NASA works on an atomic laboratory experiment at the Lewis Research Center in 1957. The experiment pushed a gas at low pressure through a high-voltage discharge.